b. 14 Nov. 1773, 2nd but 1st surv. s. of Sir Robert Salusbury Cotton*, 5th Bt. educ. Audlem g.s. 1781; Westminster 1785-9; Norwood House mil. acad. 1789. m. (1) 1 Jan. 1801, Lady Anna Maria Pelham Clinton (d. 31 May 1807), da. of Thomas Pelham Clinton*, 3rd Duke of Newcastle, 1s. d.v.p. ; (2) 18 June 1814, Caroline (d. 25 Jan. 1837), da. of Capt. William Fulke Greville, RN, 1s. 2da. ; (3) 2 Oct. 1838, Mary Woolley, da. and h. of Robert Gibbings, MD, of Gibbings Grove, co. Limerick, s.p. suc. fa. as 6th Bt. 24 Aug. 1809; KB 21 Aug. 1812; cr. Baron Combermere 17 May 1814, with annuity of £2,000 for himself and two successors in title; GCB 2 Jan. 1815; GCH 1817; cr. Visct. Combermere 8 Feb. 1827; took name of Stapleton before Cotton by royal lic. 21 Nov. 1827; KSI 19 Aug. 1861. 2nd lt. 23 Ft. 1790, lt. 1791; capt. 6 Drag. Gds. 1793; maj. 59 Ft. 1794; lt.-col. 25 Drag. 1794, brevet col. 1800; lt.-col. 16 Drag. 1800, maj.-gen. 1805, lt.-gen. 1812; col. 20 Drag. 1813-18; gov. and c.-in-c. Barbados 1816-20; col. 3 Drag. 1821-9; gov. Sheerness 1821-52; c.-in-c. Ireland 1822-5, India 1825-30; gen. 1825; col. 1 Life Gds. 1829-d.; f.m. 1855. PC [I] 5 Dec. 1822; gold stick 1829-d.; PC 16 Dec. 1834; constable, Tower of London and ld. lt. Tower Hamlets 1852-d.
Cotton served in Flanders in 1793-4 and at the Cape and in India from 1796 until the death of his elder brother brought him home in 1800. 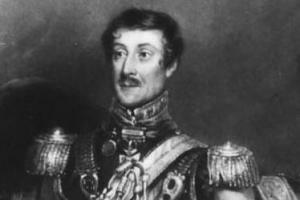 At the general election of 1806 he was returned for Newark by his brother-in-law, the 4th Duke of Newcastle. In March and April 1807 he was granted periods of leave because of the illness of his first wife,1 who died in May, when he came in again for Newark. 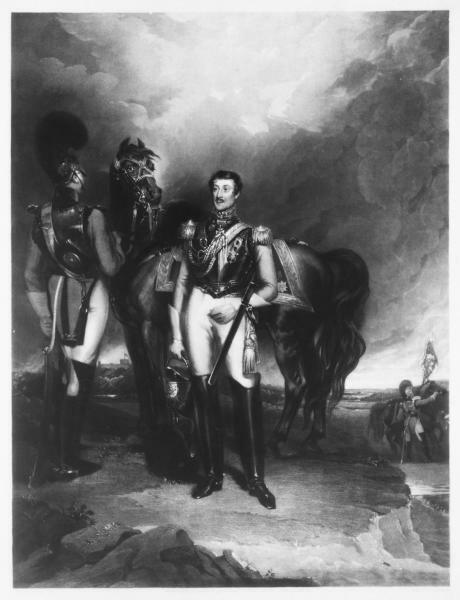 Wellington recommended him for a red ribbon, which he duly received, but Cotton, who came home late in 1812, wanted a peerage, which his father had once declined. All the pressure exerted on ministers by Newcastle on his behalf was of no avail, but he was prevailed on to return to the theatre of war and on 11 Mar. 1813 was excused service on an election committee on this account.5 He commanded the allied cavalry until the peace of 1814, when he obtained his peerage. He was on almost continuous foreign service from 1815 to 1830, when he returned from India with a handsome fortune.6 He died 21 Feb. 1865. 1. CJ, lxii. 191, 340. 2. J. Wilson, Biog. Index (1808), 415. 3. Dyott’s Diary, ii. 104. 4. Notts. RO, Smith Godfrey mss CP5/2/52. 5. HMC Bathurst, 196, 202, 204-5, 228-9; Lady Combermere and W. W. Knollys, Mems. Visct. Combermere, i. 298-9; Wellington Supp. Despatches, vii. 406-7, 414, 515; CJ, lxviii. 297. 6. Dyott’s Diary, ii. 97, 104.